Speaking on a panel at the recent Optimizely event in Sydney, Salindera said the Australian ASX-listed airline has anchored digital transformation around continuous improvement to drive value. She described a “holy trinity” of factors contributing to this: Ever-higher expectations from customers of brands; delivering more for less and improving productivity; and people and talent acquisition and retention. “Being in a small market where digital and data skills are hard to find, digital transformation has become so important to attracting and retaining talent - your IP is your people,” she told attendees. “It’s an important and underplayed reason as to why we need to reorganise and constantly be able to adapt. Brands that aren’t trying to build a bridge connecting between digital and physical worlds don’t have much runway to work with, REA Group head of behavioural communications and analytics, Bronwyn Smedley, said. Like Salindera, Smedley said tackling core people, process and data pillars of digital transformation is vital. At REA, this has required teams to work at different paces and attack problems both at a bottom-line level, through tactical initiatives, but also to make the case from the top down. Some areas are more self-contained, generally by design, Smedley said. “What we have tried to develop is a line-of-business operating model where all people needed to bring a product to market and service a particular customer set, sit and work together cross-functionally,” she continued. Salindera portrayed digital in two ways. Innovation and technology, for instance, are pervading the entire Qantas organisation, from cabin crew to air traffic control and loyalty. Within the digital direct team, meanwhile, change has truly been driven by customers and seen staff reskill and adapt accordingly. “We had large-scale contact centres teams as people like to call people up. Now people talk to devices, or scan wearables, so a significant amount of our digital team were reservations staff and they have adapted as tech changed, and they’re learning new technology and applying their customer service knowledge in new ways,” she said. Smedley agreed there’s a lot to be said for learning as you go. When it comes to people management and career progression, Salindera also noted the shift from building experience and importance through an organisation, to the need to master specific skills and expertise. Panellists also touched on the importance of framework and strategy around technology adoption. “It’s not the technology that’s the problem, it’s capability, and that framework is very clear,” Salindera argued. “You need architects, engineers, thinkers, data users, doers, and to be insights driven. This has included setting up skunkworks and moving teams to Agile practices. “We experiment to find what will work for the culture at Qantas. We do it small scale, then use it as case study to drive a broader transformation,” Salindera said. Smedly called the approach “somewhat opportunistic”. “Hone in on single problem you can solve, or look at something that’s not working in the customer journey. You want to pick something where you won’t come up against a lot of resistance first – an area that’s ripe for transformation or is really calling out for it,” she advised. And if you are leader driving and creating change, you have to change yourself, because running a highly matrixed team where you don’t have direct control of some of your teams is increasingly a reality, Salindera said. 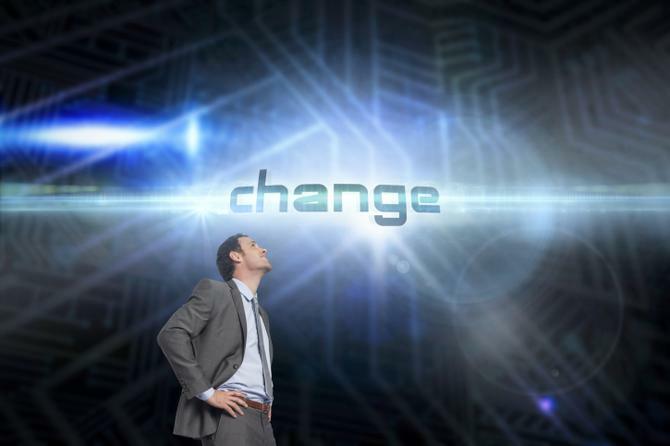 “If your organisation is going through change… don’t wait for structure and reorganisation. You are in charge of your own career. Think hard about that craft, and you to master and what you want to offer,” she added.